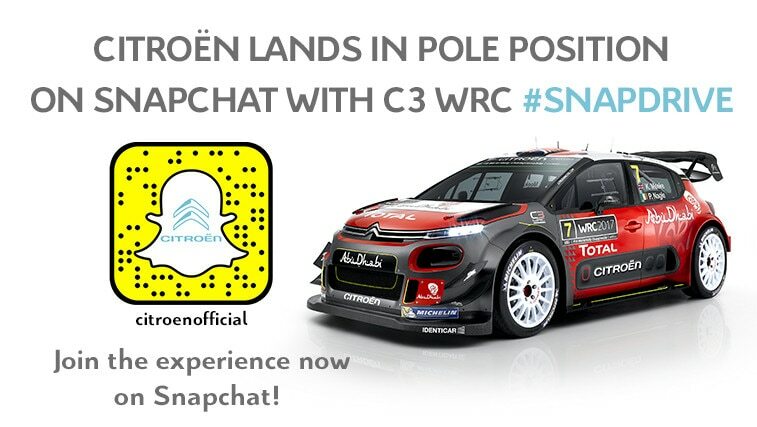 Citroën Marks Its Arrival On Snapchat With The First Interactive Test Drive Of C3 WRC! To mark its arrival on the Snapchat social media platform, Citroën is bringing users a new experience: the chance to take the wheel of the Citroën C3 WRC! Named ‘Snapdrive C3 WRC’, this sensation-packed initiative will be the Brand’s first story on its Snapchat account: ‘citroenofficial’. Snapchat users (‘Snappers’) have just 24 hours to take advantage of this opportunity on March 2 from 5pm. 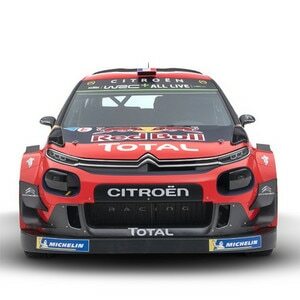 Citroën is pursuing its digital offensive by opening its Snapchat account, the popular social media platform which posts over one billion snaps from more than 150 million users every day. Snapchat is a new form of communication featuring temporary content present for periods of between 1 and 10 seconds and up to 24 hours for ‘stories’. Available on the AppleStore and on Android, the app is ideal for capturing a new audience. To mark its arrival on Snapchat, Citroën is giving social media users an opportunity to enjoy real rallying action with Snapdrive C3 WRC. Following two teasers on Facebook and Twitter, Citroën is at last about to reveal its first Snapchat story as part of its debut on this social media platform on March 2 from 5pm. To follow the Brand on Snapchat just scan the flashcode or add the username ‘citroenofficial’. This ‘test drive’ invites Snappers to imagine that they are drivers in the C3 WRC on the Satory track. The short video that makes up this exclusive Snapchat story places the driver behind the wheel. Snappers will be able, for example, to experience skidding at speeds of up to 100 kmh. These videos were made to reflect reality as closely as possible in order to create a truly sensational experience for these drivers for a day. Citroën has a massive presence within its social network communities (More than 13 million fans) and is always looking to improve the customer experience; Citroën stands apart from the rest with innovative digital initiatives. The ‘Snapdrive C3 WRC’ operation fits perfectly into the Snapchat codes and the positioning of Citroën ‘Be Different, Feel Good’.